What makes one step stool better than another to assist senior citizens or physically handicapped passengers entering a bus with the first bus stair step at 10 to 13 inches from the ground? First you have to determine if the step stool being used is going to get kicked around or not. Second, you need to know if the driver of the bus will be assisting the senior passengers up to the bus stairs. Third, is the step stool going to help or hinder the passenger either boarding or disembarking the bus? Let’s tackle the first issue: Most step stools have legs. When a visually impaired senior citizen is approaching the bus stairs and a step stool with legs is set in place to assist that passenger up to the first bus step it is entirely possible for the senior passenger to misjudge where the top of the step stool is. They mistakenly think that their first foot is on top of the step when really it is under the step between the legs. 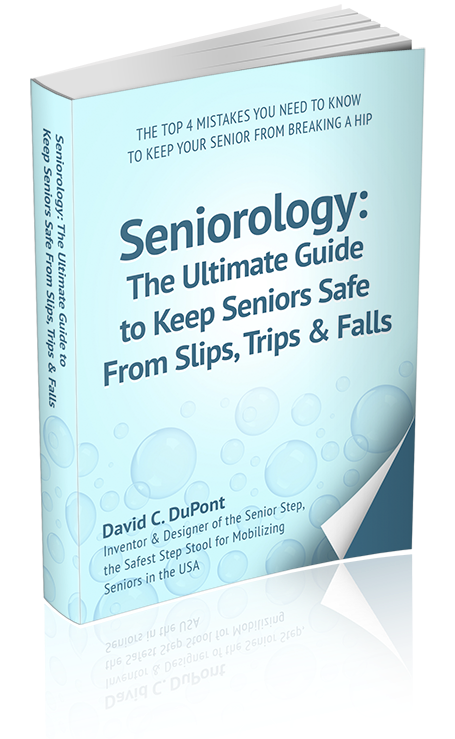 When the senior passenger tries to bring their second foot up…they fall because their first foot is caught under the step. 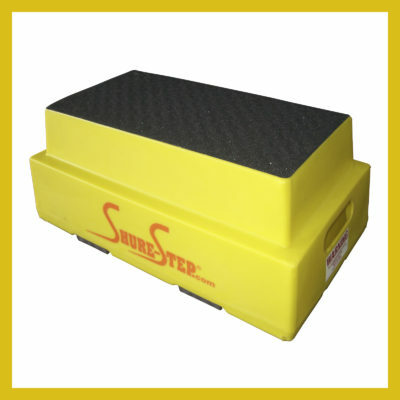 The Shure-Step Senior Step has a perimeter wall that keeps the passenger’s foot from getting under the step stool. 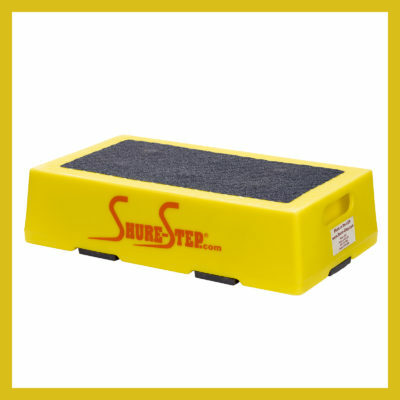 It is entirely possible that the senior passenger could kick the side of the Shure-Step moving it from it’s desired position but since this step stool weighs 10 pounds and has large rubber pads on the bottom, it is unlikely to happen unless the passenger gives it a soccer ball kick. Second issue: Some companies require that the bus driver be present at the bus door whenever passengers board or disembark. This action assures that the passengers have an extra layer of fall prevention at the most critical moment of their bus travel. When the bus driver is present to help passengers fewer falls occur. It makes no sense to have the bus driver anywhere else other than this, but this action is often overlooked by some transportation companies. Be sure to ask if driver assistance will be available when booking your travel. Third issue: If the step stool used assist the senior passengers on and off the bus isn’t the correct height a senior passenger might stumble on it whether they be trying to get on or off the bus. If the passenger can’t see the step stool very well they could misjudge it and step off the side of the step causing a fall. Is the step stool rated for at least a 500 pound load? If not it could cause a fall because the passenger may feel unstable and become nervous; Creating a dangerous situation for the passenger. Finally, be sure to check with your transportation company and ask what kind of step stool and assistance they offer to passengers using their service. If you don’t like the answer, choose another bus company. 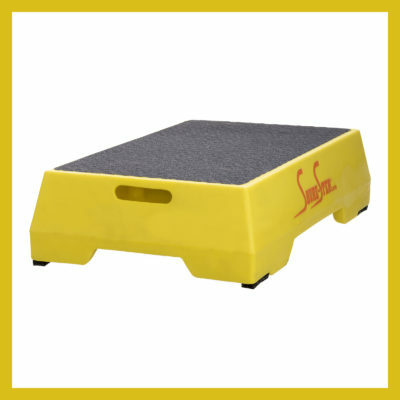 Or contact Shure-Step.com to get a safe step stool for your loved one.